It is a well-known fact that some people experience fear when they visit their dentist. In some cases, the fear may only be mild nervousness. In other cases, anxiety over dental visits can be so extreme that it causes them to avoid going to the dentist altogether. This of course is never a good idea because neglecting to keep up with your regular dental visits can mean that minor problems become major ones. This can actually spark a vicious cycle because by the time they muster up enough courage (or desperation!) to see their dentist they may need major and costly work done – and this can escalate their fear of going to the dentist even more. 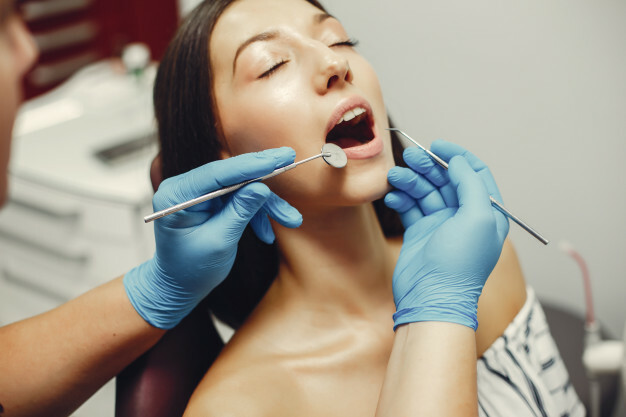 In recent years however, the prevalence of sedation dentistry has helped many patients to overcome their fears and even help make trips to the dentist enjoyable. But sedation dentistry isn’t just for those patients who are afraid to visit the dentist. They can also be a good option for patients who have a strong gag reflex, have difficulty keeping their jaw open or those who are resistant to numbing. Is Sedation Dentistry Right for You? Contact Us Now! It can even be used for those who simply want to make their dental visit more comfortable. When we talk about sedation dentistry, we are talking about any dental work that is performed while the patient is under anesthesia. There are different levels of sedation ranging from “conscious sedation” (under which patients are vaguely aware of what is happening but are in a completely relaxed state) to deep sedation (under which patients are fully asleep and will have no memory of their dental procedure). Sedation dentistry is both safe and effective. It allows patients to get through their dental appointments with fear, discomfort or pain. It can be used for both simple dental procedures as well as more complex ones. If you feel that sedation dentistry may be the right choice for you, you should discuss the matter with your dentist. He will ask you a few important medical questions and then explain the various sedation options. Working together with your dental team, you can select the method that is right for you. Would you like to drift though your dental appointments without a care in the world? Call Sapphire Dental today to talk to us about sedation dentistry.